SeizeTheDay is a simple and easy to use task manager that helps you organize and stay on top of your busy life - and it's even got audible reminders. Easily add, view, and organize your to-dos. Add notes or tags, set individual reminders or use daily reminders (list of all today's tasks) to keep on top of all your day's responsibilities. 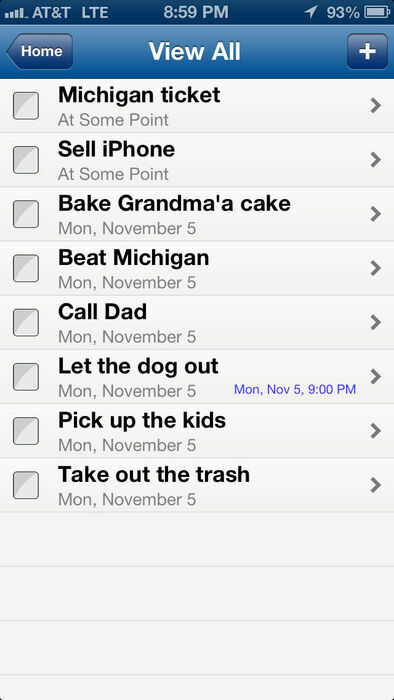 SeizeTheDay takes advantage of local reminders and iAds - new iOS 4 features. With local reminders never forget your to-do(s) because you don't have an internet connection. iAds, Apple's new advertising platform, provides a whole new level of engaging yet unobtrusive advertisements that allows you to enjoy this application for free. As always please contact us if you have any problems or have suggestions for future versions at support@functionaldelights.com or use the form on our website. Follow us on Twitter @seizethedayapp!